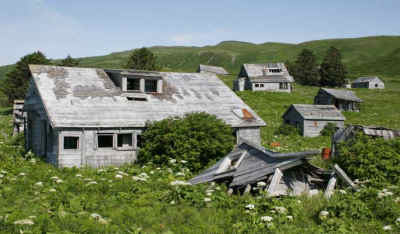 It was an Aleut village first reported as “Delarov” in 1833, with a population of 116, and then as “Ougnagok” in 1836. The “Ounga” post office was established in 1888, and changed its name to Unga in 1894. The post office closed in 1958. The island is now used for subsistence activities, only, and there are no permanent residents. There is no employment in the area. The area is a subsistence-use site.